I knew it was going to be lazy Friday before our day even began! It was almost 10 o'clock last night before any of my boys fell asleep. Alec slept over in Evan's room and they were up reading their new Minecraft book until well past nine. Evan doesn't have a clock in his room and the two boys were so involved in the story they didn't realize how late it was getting. I didn't mind the idea of a lazy Friday. It's so nice to have a lazy day of learning every now and then. Fridays we often play games or make it a fun day of hands on activities anyway. I figured they would all sleep in a little late this morning. I shouldn't have been so surprised to hear them all talking and playing in Evan's room at 7 this morning but I was. I let it go though since all three boys were playing and getting along. Ian and Evan had linked Kindles and were playing Minecraft while Alec was looking things up in their Minecraft books. 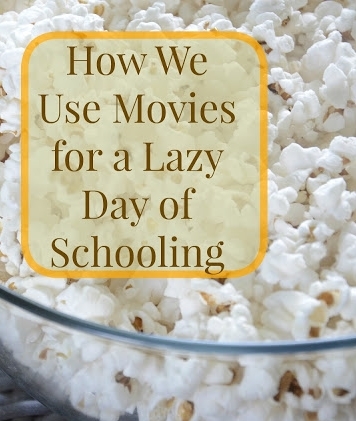 Today I figured we could watch a movie, bake up some special treats, and enjoy our nice lazy day! I try to make sure our movie is relevant to what we've been studying or will be studying next. Today, the boys all came downstairs and ate breakfast together so started reading a new World War II book called I Survived the Nazi Invasion, 1944 together. I read the first three chapters while the boys ate and then we settled onto the couch to watch The Sound of Music. I wasn't sure if the boys would really enjoy the movie or not but it's one of my all time favorites. I have such fond memories of being allowed to stay up late and watch the movie every year as a child. They seemed to enjoy it. We stopped it a few time to talk about what was happening and to discuss all the ways we could see the Nazi invasion slowly taking over Austria. We learned that the real family had 10 children and not 7 like in the movie. We also found a picture on Facebook showing the Sound of Music family taken then and now; 45 years later. We looked up the Trapp Family Lodge in Stowe, VT and talked about why they chose to settle in Vermont. It was fantastic! I learned a lot myself and all because the boys asked questions I had never bothered to find the answers to myself. 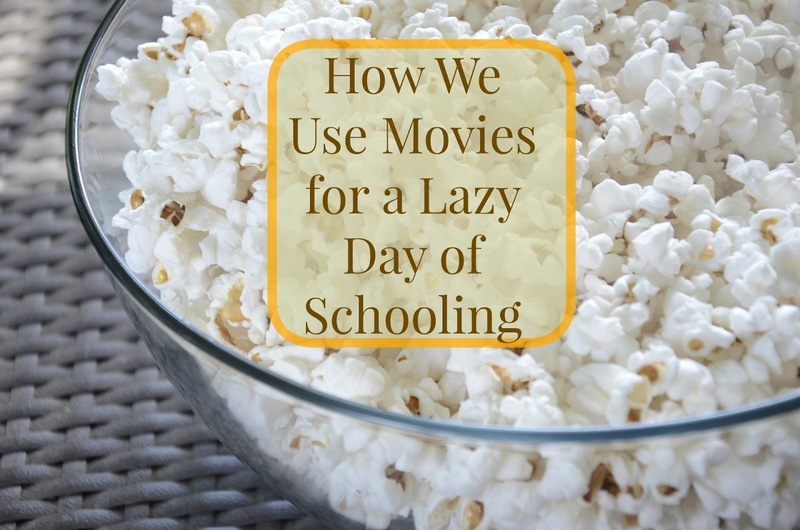 After the movie it was just about lunchtime and Ian had a friend coming over so we adjourned school for the day. The boys cleaned their rooms, got dressed, brushed teeth and made lunches. The older boys played outside almost all afternoon while the younger two played Wii and with their Nintendo DS games. I got to exercise and read my book. It was quiet and a perfectly, lazy way to end our week (as most of us were still in our pajamas by late afternoon). I often find that having another child in our house actually cuts down on the fighting and the noise and makes it more enjoyable for all. The perfect way to head into our weekend.